School Success: What’s HEALTH got to do with it? While news about childhood obesity often makes the headlines, three other interrelated — and equally critical issues — are often not as familiar. While you may not have heard as much about student under-nutrition, food insecurity and inactivity, a growing body of research suggests that these issues can have a significant — and negative — impact on the children and adolescents in schools. 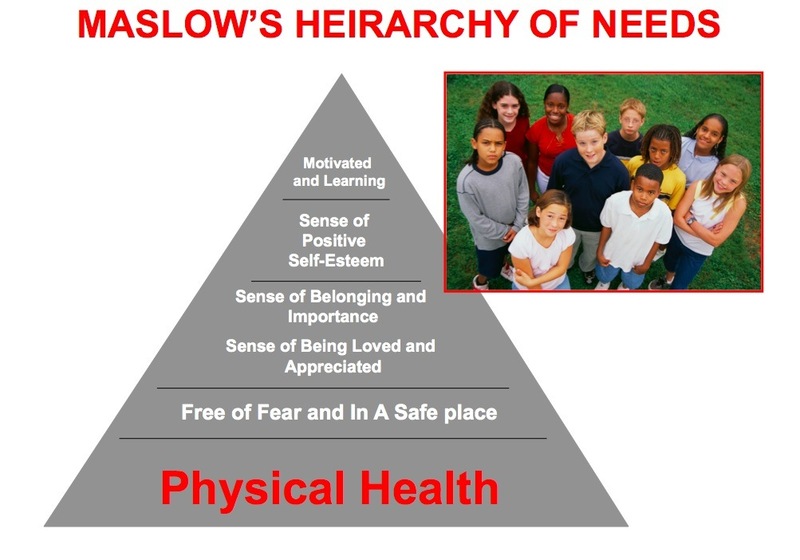 It is critical to understand how addressing these physical health issues, identified as the foundation for learning in Maslow’s hierarchy of needs, can help to support classroom performance and academic success in any district. As a few statistics will show, there are compelling reasons to address the physical health needs of America’s children today. In terms of nutrition, the overwhelming majority of children in the U.S. (98 percent) do not consume adequate servings from all food groups, missing nutrient-rich foods essential for growth and development. According to the 2010 Dietary Guidelines for Americans, four nutrients (calcium, vitamin D, potassium and fiber) are of “public health concern,” meaning these nutrient gaps are so big they affect children’s health today and in the future. The Partnership for a Healthier America (PHA) also notes that there is a crisis of physical inactivity among our nation’s youth. 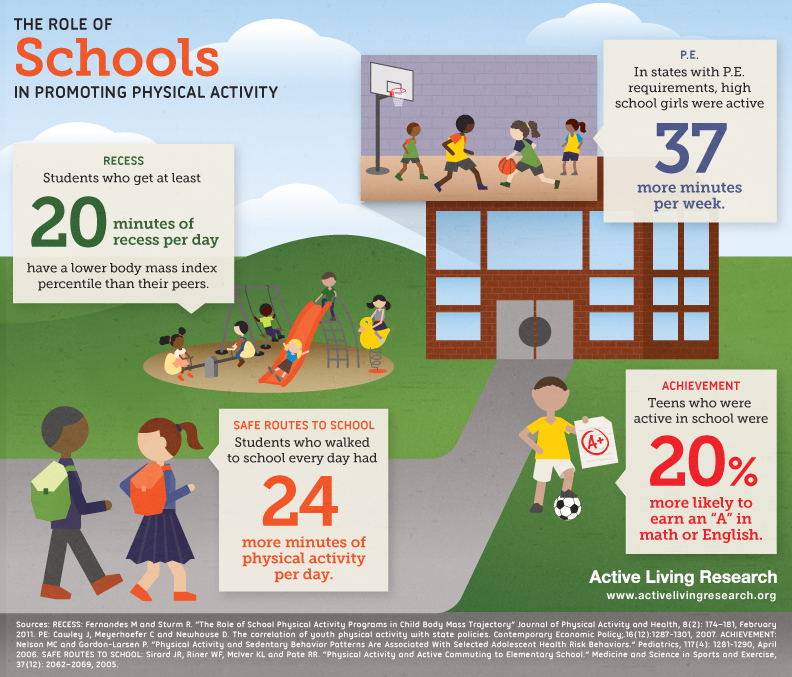 The PHA September 2012 Policy Snapshot reports that only 42 percent of children ages six to 11 and 29 percent of high school students get the recommended 60 minutes of daily physical activity. Nearly 17 million American children live in food insecure homes, not always certain when or where they will have their next meal. Recent surveys suggest that as many as half of school children skip breakfast regularly. There is also growing awareness among policy makers that food insecurity and the high rates of childhood obesity in the U.S. may be interrelated problems. The fact that children can be both overweight and food insecure is counter intuitive – and the reasons are both complex and not completely understood. We do know that food insecurity affects students’ health, development, behavior and school performance. Food insecure students tend to have lower math scores, difficulty concentrating, more fatigue and are more likely to repeat a grade level. Children and teens struggling with food security are also more likely to experience difficulty getting along with others, irritability and school suspensions. We also know that improving children’s eating habits and physical activity levels leads to health benefits. While multiple factors influence a child’s ability to learn in school, researchers and educators now recognize that skipping breakfast and a sedentary lifestyle may also affect a student’s cognition and achievement. 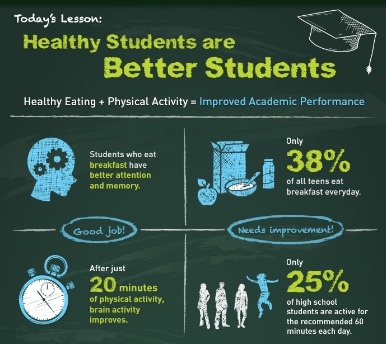 GENYOUth’s Wellnes Impact Report explores the connections between nutrition, physical activity and academic achievement. Here is what they talked about and how it can make a difference in your district. Mothers across the country have recognized the importance of breakfast for decades — and researchers have now confirmed both the health and cognitive benefits of eating well in the morning. Breakfast helps to combat childhood obesity, encourages healthy eating, and gets kids ready to learn. Unfortunately, for many families, breakfast gets squeezed out by the morning hustle and bustle — or, sadly, by the lack of food in the house. When students come to school hungry for whatever reason, they are listening to their stomachs rather than their teachers. They may have trouble concentrating on work in the classroom and often end up in the nurse’s office complaining of stomach pains and headaches. Research has shown that school breakfast programs can help prevent these problems and that they can help improve math grades, reduce school absences and rates of tardiness, and decrease emotional/behavioral problems. 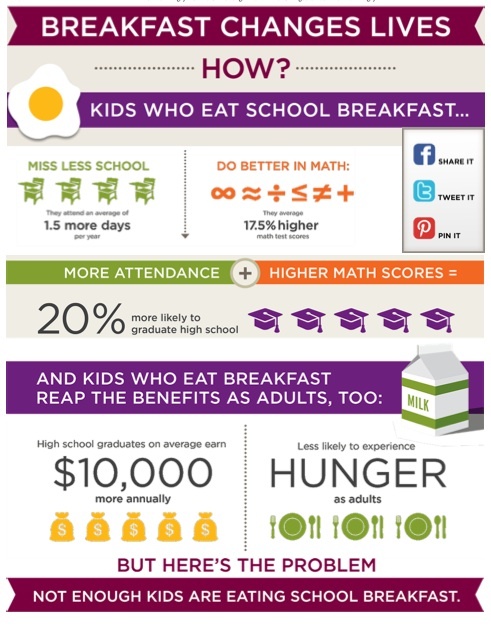 Expanding programs can bring all the benefits of breakfast to your schools. Flexible breakfast service — like Grab-n-Go and Breakfast in the Classroom — can help increase participation without losing valuable instructional time. Your local dairy council can work directly with your school to help implement the right breakfast program for your district. Fuel Up To Play 60 and other grants are available to help implement school breakfast programs and dairy council staff members are eager to help your district take full advantage of valuable funding, implementation and promotion resources. The Wellness Impact Report also documents the positive relationships between physical activity at school and several indicators of academic achievement, classroom behavior and cognitive function. According to researchers, the normally sedentary school day can be activated in multiple effective ways, including physical education, active recess, walking or biking to/from school, and before/after school programs like walking clubs, as well as physically active classroom lessons and energizing breaks. Your district’s physical education (PE) professionals are your best resource for all the ways to increase activity in and out of the classroom. If you want to see some excellent examples of classroom energizers for elementary and middle school students, Eat Smart, Move More North Carolina were developed as part of the North Carolina State Board of Education’s Healthy Active Children Policy. While everyone has a role to play in creating healthier, smarter school environments, student empowerment is a critical component for success. According to the Learning Connection Summit leaders, one of the key principles of game-changing improvements in school nutrition and physical activity is to focus on youth leadership for maximum impact. That is the goal of Fuel Up to Play 60 (FUTP60), developed by the NDC and NFL, in collaboration with the U.S. Department of Agriculture. 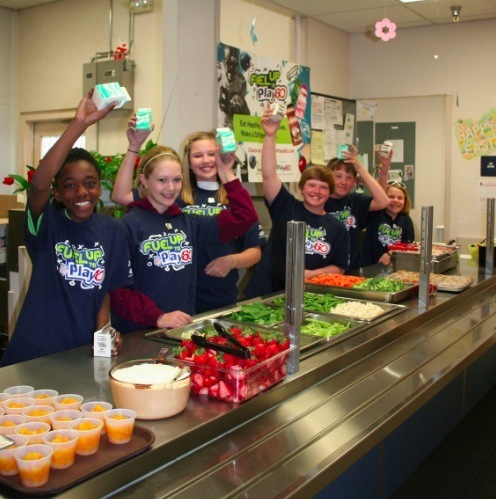 FUTP60 now engages over 11 million students in 73,000 schools. A recent survey of adults involved in those schools indicated that 70 percent believe the program is helping youth make healthier food choices and 62 percent say it is helping increase the amount of time students being physically active at school.